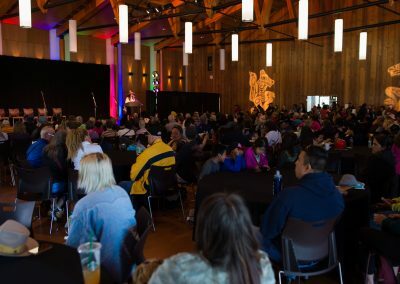 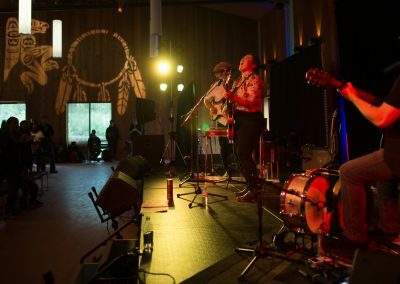 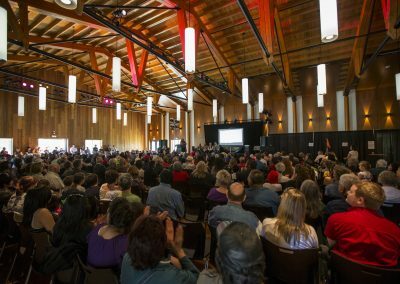 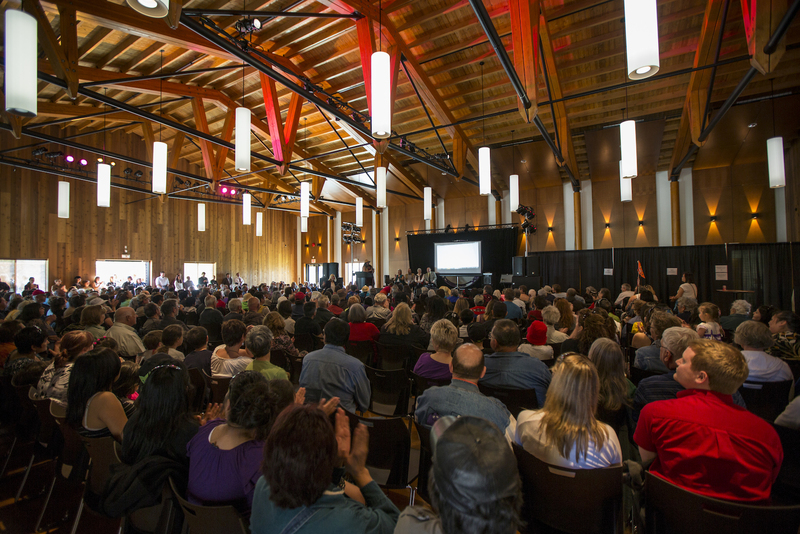 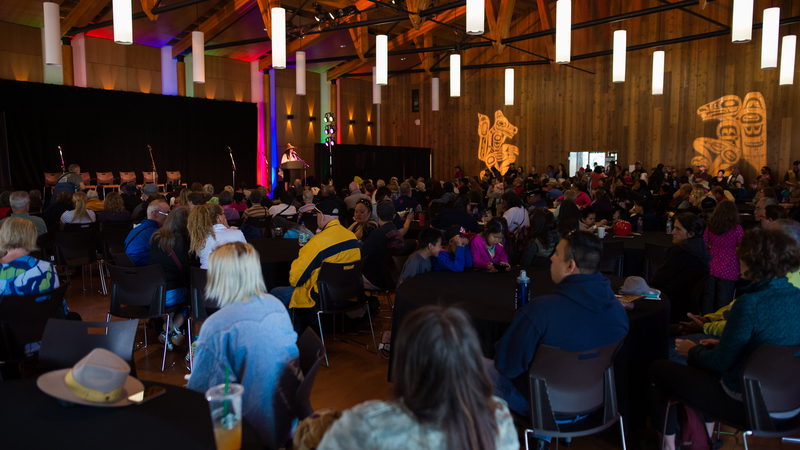 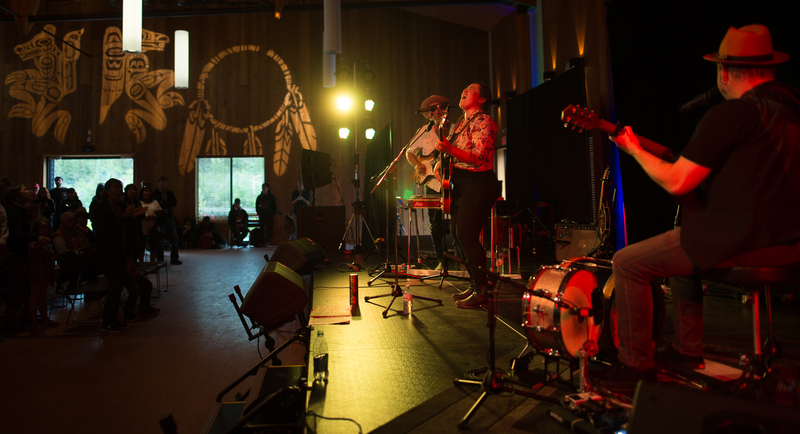 Kwanlin – Southern Tutchone: This room is named “water running through canyon” and refers to the present day Miles Canyon, a natural basalt bottleneck of the Yukon River. 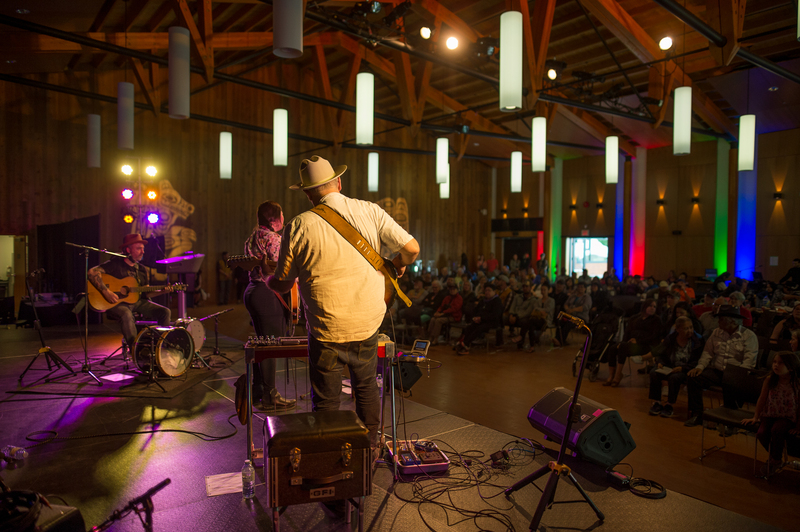 These white water rapids were very dangerous and coincidentally also inspired the name Whitehorse. 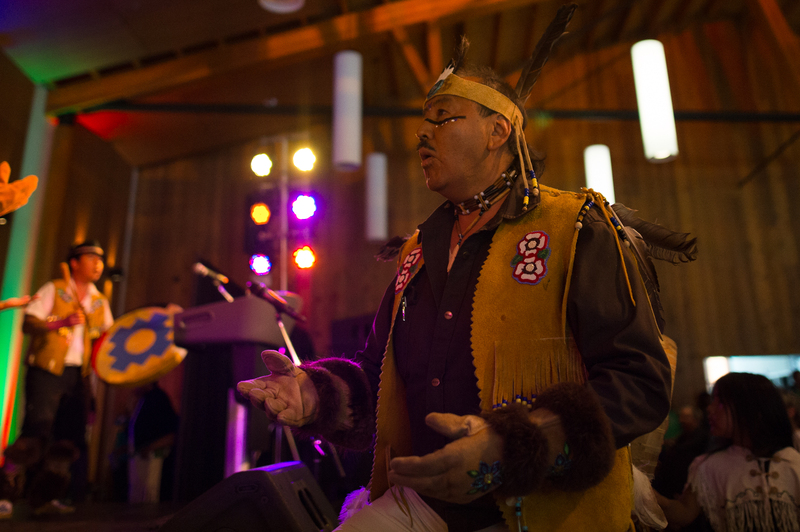 First Nation people have been linked to this place since time immemorial. 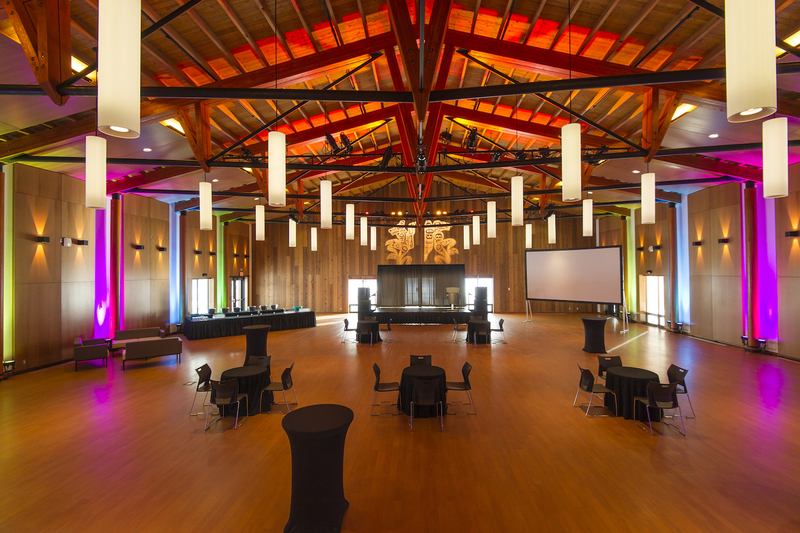 Our signature room, the stunning cedar-clad Longhouse can host up to 450 delegates with theatre-style seating or sit-down dinner events for up to 250 people. 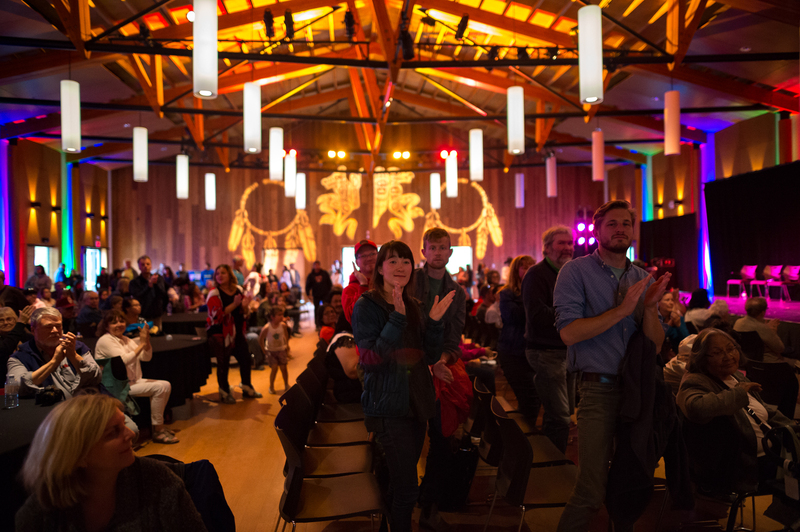 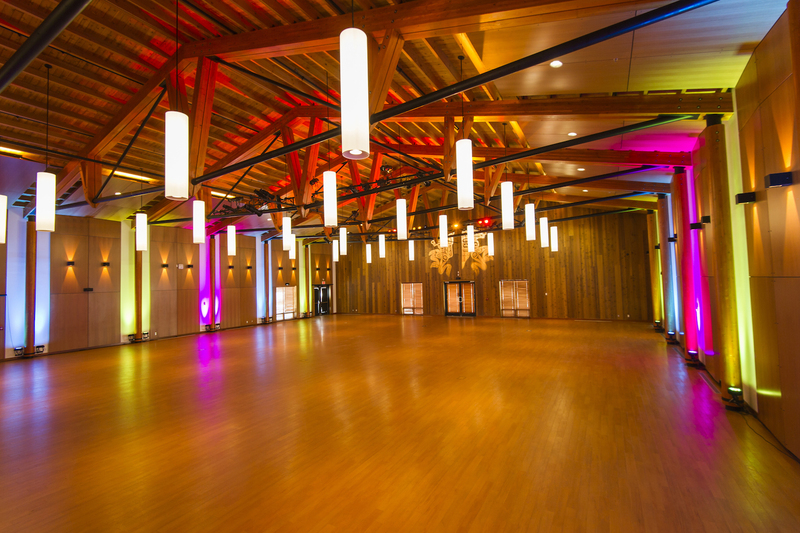 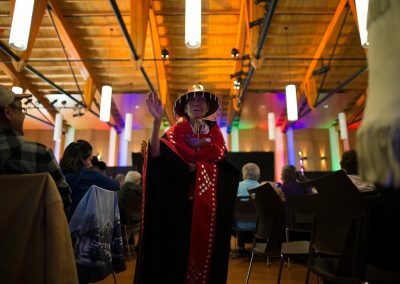 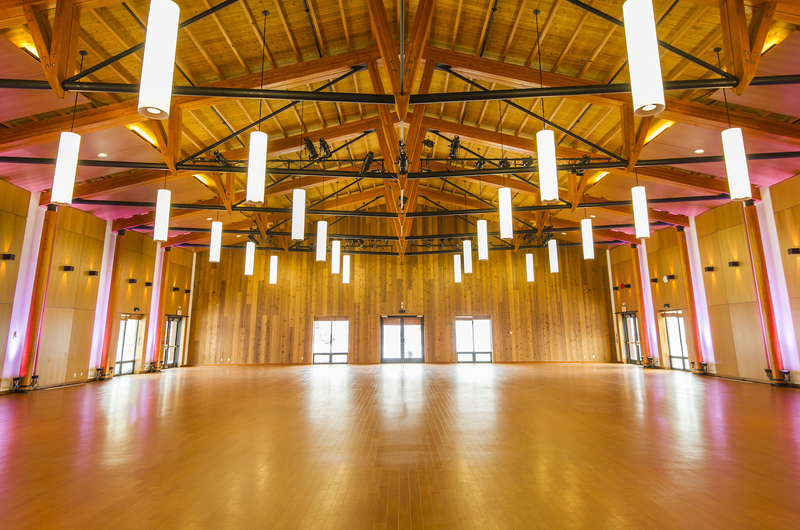 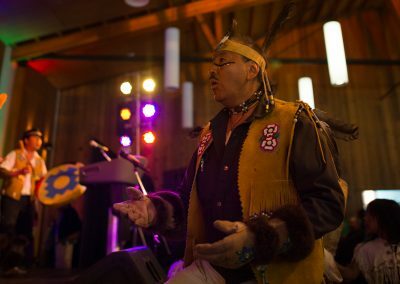 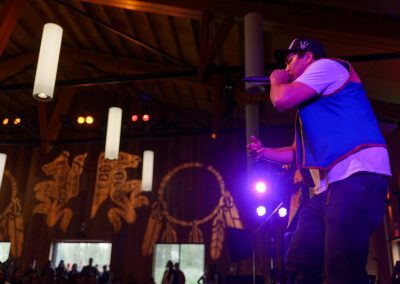 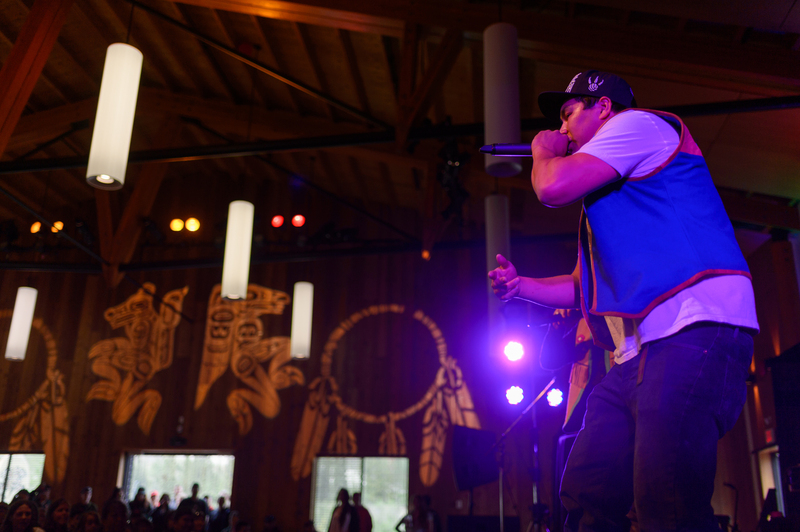 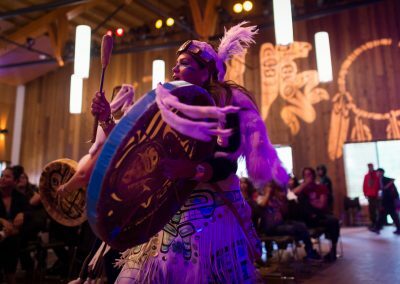 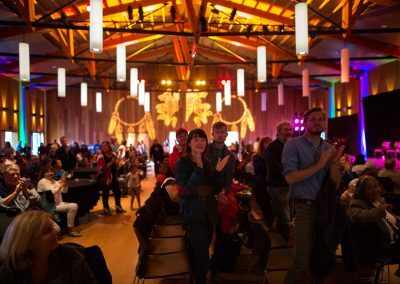 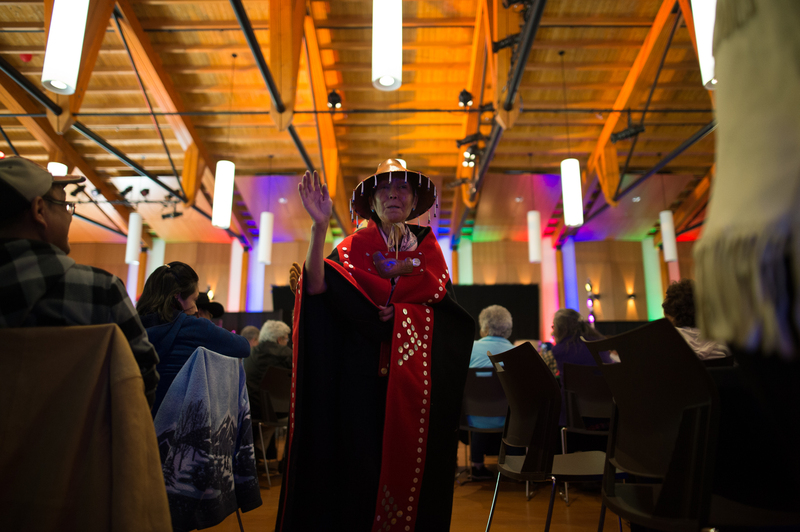 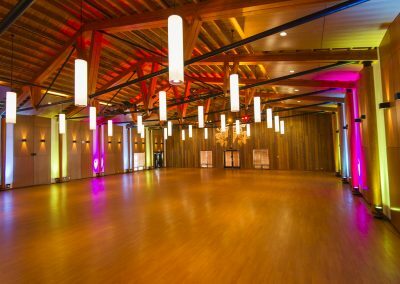 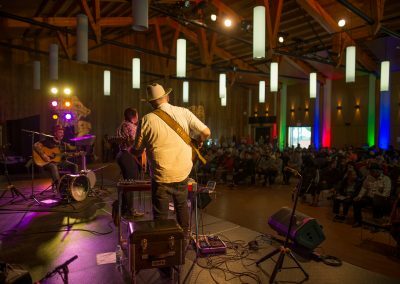 With vaulted ceilings and first-rate acoustics, the Longhouse is ideal for live performance as well as weddings, gatherings, and trade shows. 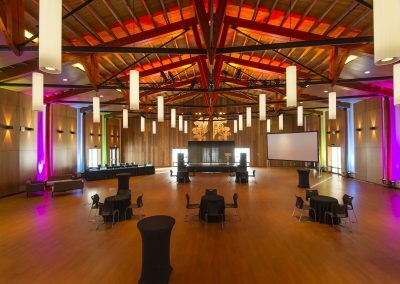 Inside this warm room, your guests enjoy views of the blue-green waters of the Chu Nínkwan (Yukon River), clay cliffs, and mountains beyond. 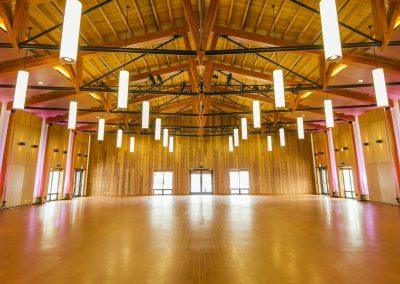 Glass doors at the east end of the Longhouse open to our Fire Pit, and its’ generous tiered seating, on the banks of the Chu Nínkwan.